Get cast on Chicago P.D. – Day Player, Background Extras and stand-in Casting. 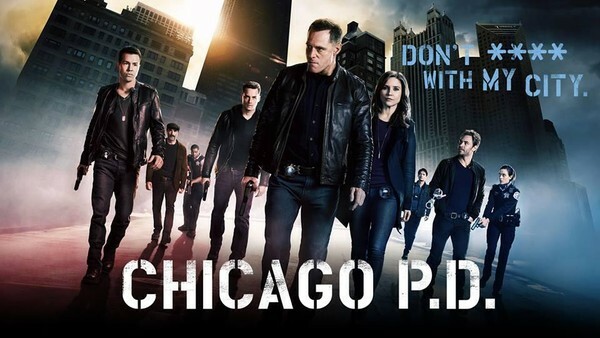 “Chicago P.D.” is filming new episodes in Chicago Illinois and has just released an casting calls for upcoming episodes including actors and stand-ins available to work multiple days throughout the new season. Tail Sticks Casting is seeking background talent to fill a variety of small, paid roles. Please see the casting notice below for further role details. The show is only considering talent that is local to the Chicago area. Locals wanting to make some extra cash by working as a paid extra on a popular TV series may follow the instructions below to get their photos and contact information in to the casting team. Also filming right now in the Chicago area is “Chicago Fire“, “Chicago P.D.’s” sister show. That show also has a casting call out for extras. 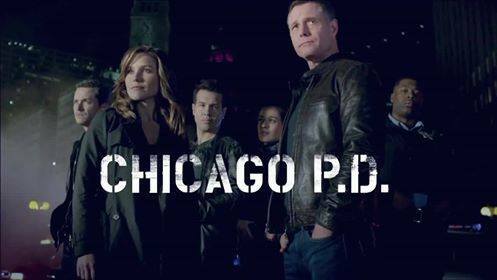 NBC’s Chicago PD – Background Extras Casting Alert. ROLES: Pedestrians (some booked with AUTO): Females/Males, Ages: 18-older, any ethnicity, some with vehicles. No red or white cars, please. ALL applicants must be comfortable working exterior scenes. PAY RATE: $84 for up to 8 hours of work & time and a half for anything after 8. *IF booked with your vehicle = +$35 Auto Bump to your pay out. FILMS: Tentatively scheduled for Wed., January 18th, This date is still unofficial & subject to change; Applicants must have a flexible schedule to accommodate any schedule changes. SPECS: Seeking 1 Male, Age: late 40s-60s, any ethnicity, to play a Machining Supervisor (this “character points in the direction of this episodes suspect”). The selected applicant must also be available to attend a mandatory wardrobe fitting prior to the film date (Schedule has not been set yet), during the day, at Cinespace Film Studios. FILMS: Tentatively scheduled for Wednesday, January 25th. This date is still unofficial & subject to change; Applicants must have a flexible schedule to accommodate any schedule changes. SPECS: Seeking African American, Caucasian and Hispanic Males, Ages: 20s-30s, to play featured Gangbangers for a Drug/House Party scene. Looking for hard, intimidating faces and interesting hair cuts/styles. Applicants should be comfortable with the concepts of: drug cutting, smoking, prostitutes, guns, and smoke/fog, etc. Please be sure to include photos of ALL tattoos (visible & hidden) in your submission email. The selected applicant must also be available to attend a mandatory wardrobe fitting prior to the film date (Schedule has not been set yet), during the day, at Cinespace Film Studios. PAY RATE: $84 for up to 8 hours of work and time and one half for anything after 8; IF fit before the film date = +$25 Fitting Bump to your first day of work. SPECS: Seeking African American, Caucasian and Hispanic Females, Ages: 21-30s, to play featured “Prostitute/Dancing Girls” for a Drug/House Party scene. Must be 21 years or older. Applicants must be comfortable with these scenarios: minimal attire, ‘dancing’/minimal contact with other extras, drugs, guns, and smoke/fog, etc. When submitting, please include photos of yourself in a bikini or lingerie. Please also sure to include photos of ALL tattoos (visible & hidden) in your submission email. The selected applicant must also be available to attend a mandatory wardrobe fitting prior to the film date (Schedule has not been set yet), during the day, at Cinespace Film Studios. PAY RATE: $180 for up to 8 hours of work and time and one half for anything after 8; IF fit before the film date = +$25 Fitting Bump to your first day of work. *Please have your submissions in ASAP – by Sunday morning…as we will be showing your photos to the Director this Monday (1/9) morning. All applicants MUST HAVE either stand-in experience or Theatrical/Improv training and RELIABLE TRANSPORTATION. 2. )WOMEN; ALL ETHNICITIES; 25-50; 5’0-5’8; Slim to Average build; No visible tattoos. If you’d seriously like to be considered, please submit the following info to TailSticksCasting@gmail.com with “SHEMP” in the subject line. perfect! how do I submit an audition? I am perfect for this! Hi I’m Lourdes Michener. I am 14 years old turning 15 February 26th. I go to York county school of technology. I think I would be great in this film. It would mean a lot to me if you would accept me for this part, thank you.